Serenity is the story of a man, a fishing boat captain, confronted with his past on an unknown island. 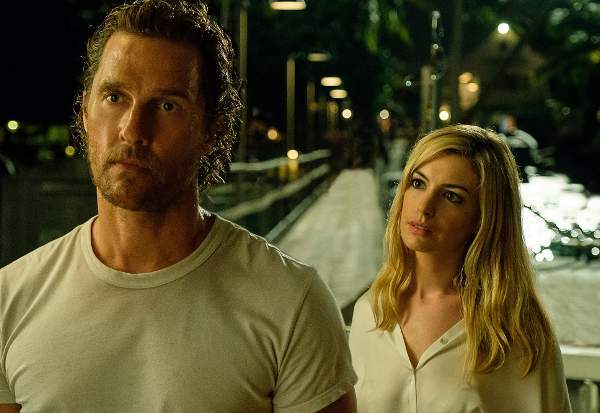 The cast is headed by Interstellar stars Matthew McConaughey and Anne Hathaway. 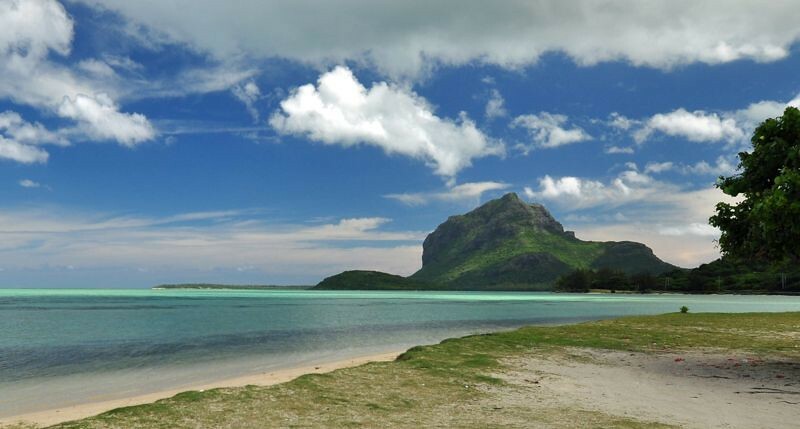 Serenity was filmed in the island of Mauritius, doubling as the fictional Plymouth Island, in the movie located in the middle of nowhere. The small Indian Ocean nation in East Africa is trying to promote itself as a shooting destination, with a film tax incentive program to attract international productions. A few facts: Port Louis is the capital of a country of more than a million inhabitants, living in an area slightly bigger that Hawaii's Maui island. The picturesque nation is located east of Madagascar, around 200 miles of the overseas French department island of Réunion. 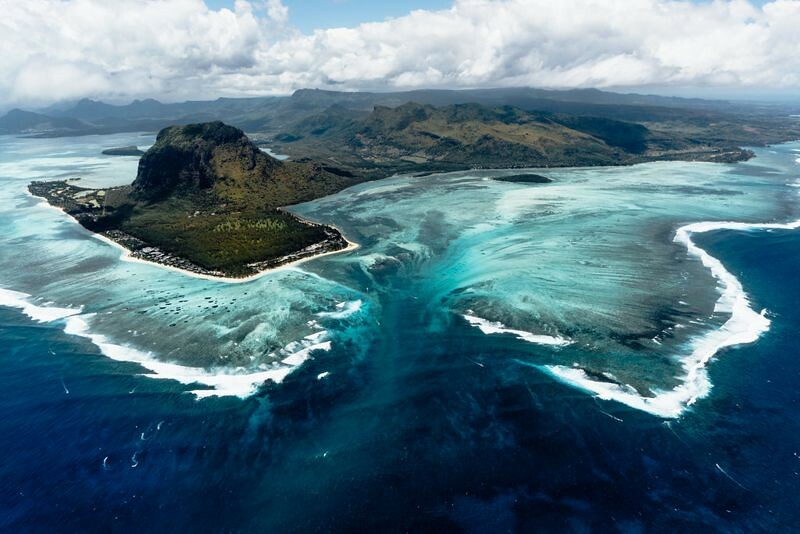 Pictured, a spectacular aerial view of the 'underwater waterfall' of Mauritius Island. 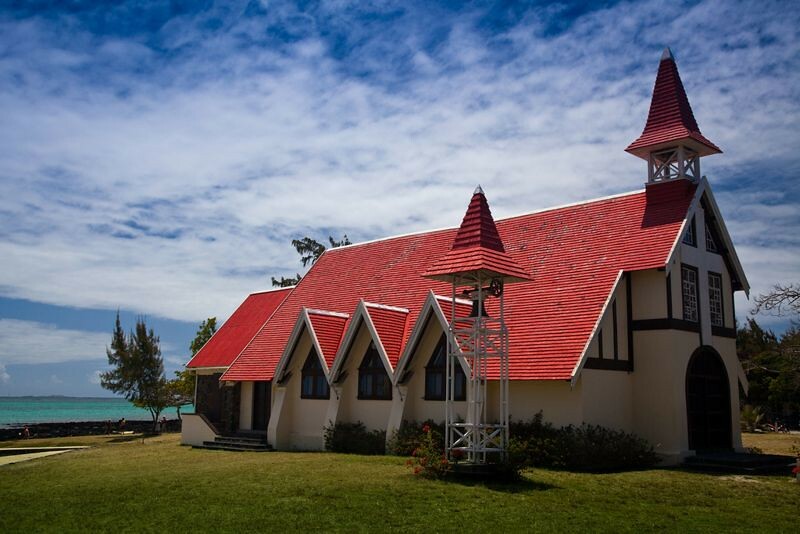 The colorful church is the Notre-Dame Auxiliatrice located in Cap Malheureux. Pictured, the iconic shape of Rempart Mountain located near Tamarin in the west coast. Filming in a exotic paradise location wasn't as smooth as it may look. 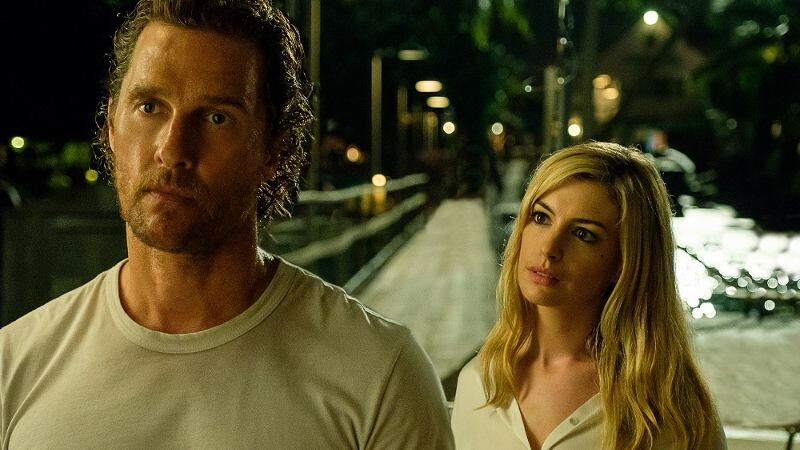 The cast commented in an interview for Bustle that working on the sea, they had to repeat some scenes multiple times due to the difficulty of recording the sound in this environment. There could be like 20 people working on board the small cabin of the Serenity boat, and it could get extremely hot. Also most of the filming equipment had to be shipped from South Africa. 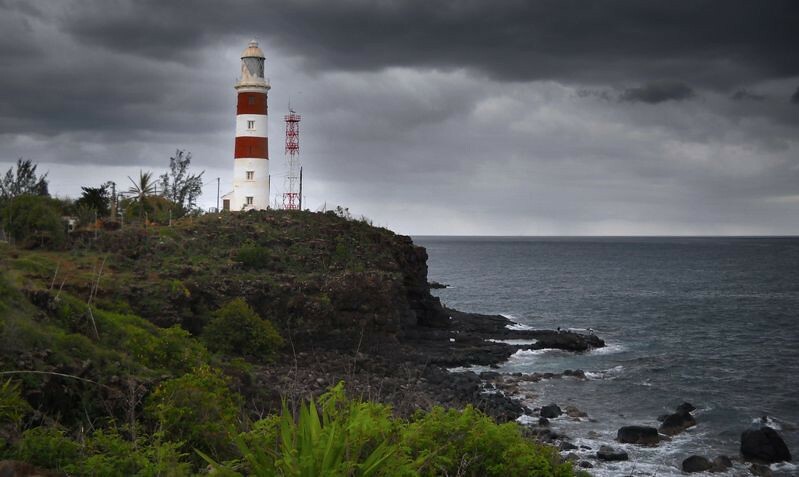 There are two World Heritage Sites in Mauritius inscribed to the prestigious UNESCO list. Le Morne Cultural Landscape (pictured) is the peninsula near the underwater fall, pictured above in the second image of this report. The other one is the historical site of Aapravasi Ghat, old Immigration Depot. Mauritius is not only home of blue turquoise waters and world-class sandy beaches. The Seven Coloured Earths is a scenic landscape formed by several colorful layers of volcanic ash. Can you help to improve this article about the filming locations of Serenity? To complete and correct this report, any feedback, info or images that you may have are more than welcome, thank you!